People complain about their neighbors for a number of reasons from noisy pets to loud music or crying children, but this is the first time that I have heard of someone complaining because their neighbor has a really awesome treehouse. Melinda Hackett already had a few strikes against her with one of her neighbors, and those strikes were her three daughters and two dogs. 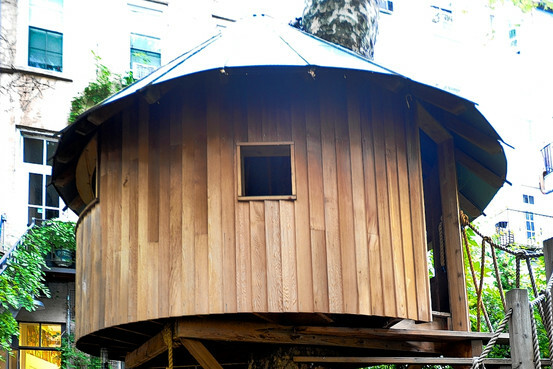 When she asked Nick Cohen and Ashley Koral to build her a round treehouse, she ran into trouble. The police were called, and they asked if she had a permit for the treehouse. Luckily, Hackett knew an architect who got the treehouse land marked by the city. As someone who grew up with a beautiful playhouse, I think it is great that Hackett’s kids have a new place to hide out and play. As a New Yorker, I love the quirky design of the treehouse, and I am glad that a cranky neighbor wasn’t able to shut down something this wonderfully creative. To read more about the treehouse and see more pictures, go to http://online.wsj.com/article/SB10001424052748703959704575453733137531268.html?mod=rss_newyork_main. To read about residential buildings all around Manhattan, check out Neighborhood NYC at http://www.neighborhoodnyc.com. This story isn’t in Manhattan, but it was so ridiculous that we felt compelled to share it. Enjoy the idiocy, and happy Friday the 13th! Ira Rennert’s Sagaponack mansion is the biggest house in the United States. The house, referred to as Fair Field by Rennert, has 29 bedrooms, a synagogue, a play house, 2 tennis courts, and a basketball court. Somehow, however, this is not enough. Fair Field has 39 bathrooms, but Rennert would like to make it an even 40 by adding an outdoor bathroom. Unfortunately, Southampton residents don’t think that they need yet another bathroom. I am fortunate to have a decent-sized bathroom in my apartment. I have absolutely no reason to complain, but for the many New Yorkers who have to squeeze into an undersized bathroom, Rennert is getting no sympathy from me. If someone cannot make it to one of the 39 bathrooms, then perhaps they should get checked out by a doctor to make sure that their bladder is working as it should. 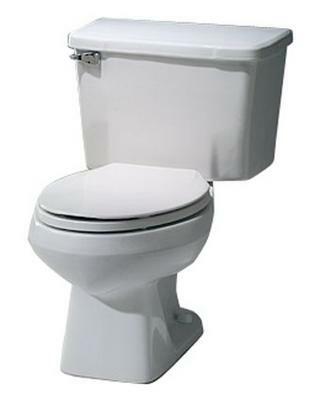 39 bathrooms is already excessive, so I would like to suggest to Rennert that maybe the money used to build another bathroom could be better used elsewhere. He could surprise a friend or family member with a gift or take a night out on the town. Better yet, he could donate the money towards the Bladder & Bowel Foundation (http://www.bladderandbowelfoundation.org/) if he still wants that money to help a full bladder in need. To read the full story, go to http://hamptons.curbed.com/archives/2010/08/11/ira_rennert_has_39_bathrooms_but_would_like_one_more.php. Check out residential buildings around the city at our informational website Neighborhood NYC at http://www.neighborhoodnyc.com.